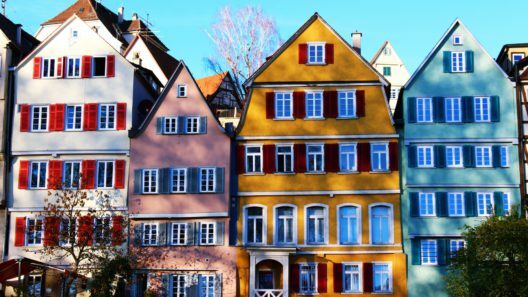 Are you planning to purchase a house or apartment in Germany? But you don’t know how to find out if the purchase price is fair? It’s important to perform a real estate valuation. Why is a property valuation important? An apartment or home valuation helps ensure a fair transaction. Your lender, usually a bank, will perform their own property price evaluation for the property and write that down in your offer. In addition, many buyers choose to appraise the property independently. Why? For buyers, a real estate valuation allows them to check the offer price before signing the contract. Likewise, sellers want to ensure that the offer price is in line with their property’s current market value. 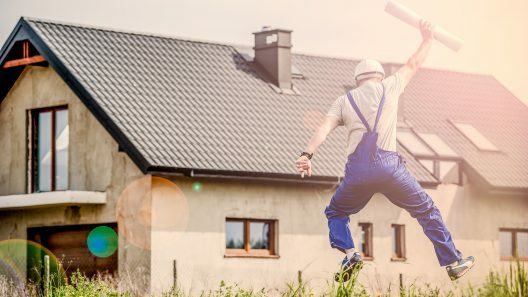 Property owners also frequently ask for a property assessment after renovating or modernizing their property so they know the current value. Capital.de offers a free, German-language tool to look up the average price per square meter. Approach a real estate agent and ask them for an “Immobilienwert-Einwertung.” This can cost between 100 and 300 euro. Look for an “Immobilien Gutachter” and ask them for valuation. This is a more expensive option and costs roughly 1,500 euro. Check with the “Gutachterausschuss” (an expert committee) that has the average selling prices of the properties in the same area or even on the same street. The list is based on the prices that notaries in the region declare. How do evaluators appraise a property? There are several ways to appraise a property: the sales comparison approach, the cost approach and the income approach. Altogether the goal is to determine the current market price of your property. This is also called market value. The sales comparison approach determines the market values of similar properties in your area. The greater the number of properties and the similarity of properties considered, the more the process will reflect the true value of your property. If the sales comparison approach is impractical – for example, if there aren’t enough properties to compare in the area – evaluators use the cost approach. Here, current land value is key. Then, the value of the land is added to the cost of a new building, and wear and tear are deducted mathematically. Finally, the income approach is most common for rented properties like apartment buildings. The income from rent serves as a starting point. So, annual rent minus fixed and operating costs multiplied by a duplicator gives the real estate’s value. Overall, the use of the property is the most important factor in determining which property appraisal method to use. A self-use property’s value will depend on the sales comparison approach. If that is not possible, the cost approach is the next most common. An undeveloped property’s value can also be valued using the sales comparison approach or the cost approach. If property is leased, the income method is the best. What factors influence the real estate valuation? When determining real estate value, the decisive factors include location, overall property condition and equipment. Both macro and micro location play a role in the real estate valuation. Macro-location means the region, the city and district. The micro-location includes the property’s immediate neighborhood. There are also hard and soft evaluation criteria. For example, the district’s infrastructure is a hard factor, while the social class of the area is a soft factor. You can check the property value development of apartments in the major German cities on the LoanLink blog. In addition to the property’s location, property condition is also important. The roof, the windows and the facade are the most important. Extensive investments like high-quality flooring or a new heating system also help boost the selling price. Smaller investments like painting and replacing old baseboards also help increase the property’s value. Another important factor is the property’s equipment. A fireplace, underfloor heating or a greenhouse all help raise property value. Appraise the property independently or get support? There are several different options for appraising a property. Owners, experts and brokers can all perform the appraisal. An owner can perform an appraisal, but it can be risky. Owners are often able to quantify all costs. However, this is not enough to give an objective real estate value that takes supply and demand into account. A specialist is often necessary for a neutral appraisal. A real estate appraiser is qualified to calculate the real estate’s value. They can examine the property thoroughly and calculate market value based on recognised procedures. A real estate appraiser’s fees are calculated similar to fees for architects and engineers. If a real estate’s value is up to 400,000, a real estate appraiser will request a fee of about 1,500 – 2,000. A broker can also make a real estate valuation. The broker will usually evaluate the property using the sales comparison approach. A good broker who is familiar with the region will be able to compare applicable prices.